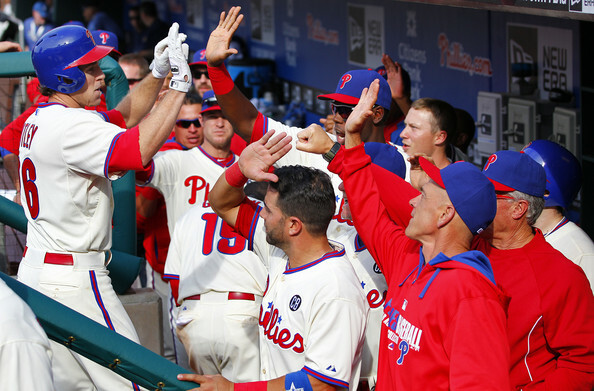 The Baseball Prospectus PECOTA ratings were released this afternoon, and the player forecasting system was none too kind to the upcoming 2015 Philadelphia Phillies. For the unwashed, PECOTA is what is known as a backronym, standing for Player Empirical Comparison and Optimization Test Algorithm. In short, it is a sabermetric system to forecast MLB player performance. The system was developed by Nate Silver back in 2002 and introduced by Baseball Prospectus in 2003. In short, while as admittedly imperfect as any purely statistical history-based system will always be, the system has proven uncannily reliable as an evaluation tool. Before we take a look at what PECOTA has to say about the 2015 Phillies, let's get a few assumptions out of the way first. Each MLB team ideally has 8 starting position players, at least 4-5 starting pitchers, and another 3-4 key relief pitchers. On offense, each of 30 teams has 8 starting positions to fill. To even be a representative team, the 8 players who you factor as your projected starters should fall among the top 240 players in the game. Based on the PECOTA projections, the Phillies show 7 of their projected 8 starting position players falling within the acceptable top 240. 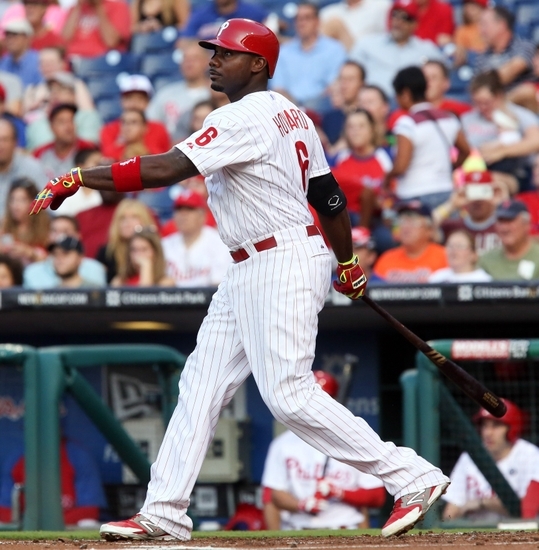 Only at 1st base do the Phils have no one, with Ryan Howard ranked just 442nd. For our purposes, we are calling Darin Ruf a leftfielder. The Phillies position players rank overall at the following slots: Chase Utley (25), Carlos Ruiz (79), Ben Revere (152), Ruf (179), Freddy Galvis (211), Cody Asche (220), and Domonic Brown (239). You can see the problem right away. While the bulk of the offense is "representative", they are completely missing a position (1st base) where many teams receive tremendous offensive contributions. And also, 5 of the 7 fall in the lower half of the projections for minimum starter-caliber players. In short, the Phillies projected offensive leaders are a pair of 36-year olds in Utley and Ruiz, the former with a pair of deteriorating knees, the latter at the always draining catching position. There is a strong likelihood that this group finishes near the bottom of the National League in runs scored this season. The Phillies projected current rotation ranks at: Cliff Lee (12), Cole Hamels (19), and then, well, it gets pretty ugly. Frankly, it's not really even worth mentioning how low guys like Aaron Harang, Jerome Williams, and David Buchanan rank. Miguel Gonzalez at 525 is the 3rd highest rated Phils pitcher who has a likelihood of starting. If Lee turns out to be unhealthy, or worse yet, finished, and Hamels is dealt? You don't even want to imagine how bad that will reflect on the 2015 win-loss record. In the bullpen, Jonathan Papelbon (61), Ken Giles (152), Justin DeFratus (266), and Jake Diekman (267) keep the Phillies representative as a group. But that assumes Papelbon remains. If Papelbon goes in a trade, as expected, Giles could be a very valuable option as the closer. But someone would then need to step up in a setup or 7th inning role. PECOTA is also used by Baseball Prospectus to project win-loss records and final standings. The Phillies are currently projected to finish in last place in the NL East with a 70-92 record, which is also the worst projected record in the entire National League, tied for the worst in baseball with the Minnesota Twins. Fact is, the actual record could end up worse than that. The bottom line for Phillies fans is that, at least based on the PECOTA rankings, the 2015 Philadelphia Phillies are going to be an awful team. And if a significant number of the more talented group from among Hamels, Lee, Utley, Ruiz, and Papelbon is dealt away and/or injured we'll be faced with the worst team in Citizens Bank Park history.